Following the 2013 Spending Review, for the first time we have a longer-term, 6 year plan to improve flood and coastal erosion risk management infrastructure. Our revised investment programme was one of the elements discussed at the recent annual Flood and Coast Conference. The conference provided an opportunity for representatives from partner organisations to come together to share best practice, learn from each other and to discuss how to build resilience through networks. It was a pleasure being part of the conference where the three main themes being explored were; leadership within flood and coastal risk management, the importance of flood risk management to local growth and opportunities for integrated water management. The programme, which was refreshed in March 2017, is available to view at GOV.UK on an interactive map and as a spreadsheet for more detail. The newly revised investment programme highlights that we are investing a record amount of £2.5 billion of government funding into projects which will reduce the risk of flooding from rivers, the sea, groundwater and surface water for at least 300,000 homes by 2020/21. In order to successfully implement the plan, we will work together with partners including Local authorities, internal drainage boards and local communities to develop 1,500 schemes. Approximately 42% of the funding will be invested on coastal flood and erosion risk management and 58% will be invested in inland flood risk management. Within the programme, 2,900 homes will be better protected from flooding through property level protection measures, 14,000 homes will be better protected from coastal erosion and over 100,000 homes from flooding from the sea. The investment programme helps to build a fairer society by focusing government investment on homes at greatest risk and those in deprived areas as well as improving the environment for people and wildlife. The investment programme will also help towards economic recovery and growth, by improving protection from flooding for businesses, infrastructure, utility providers, and agriculture. £600 million in benefits through improved biodiversity and local environments. There are many fantastic projects which have already been completed, are in the implementation stage or are being developed as part of this programme. For example, the Fairhaven and Church Scar Coast Protection Scheme which is being led by our partners Flyde Borough Council. 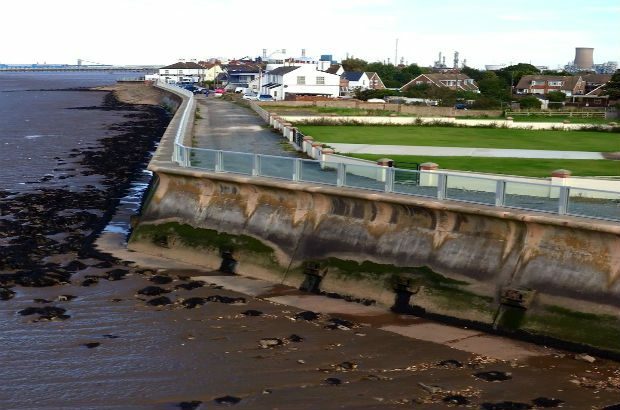 This scheme will better protect 2,300 homes in Lytham St Annes, Lancashire by 2021.The £21.4million scheme in the mouth of the Ribble Estuary will start construction this summer and will help better protect those areas of the promenade that flooded during Christmas and New Year 2013/14. It is through working together that these plans become reality. You can share your ideas and insights into the world of flood and coastal risk management by joining the Flood and Coast Linkedin Group. We've designed a system for flood resistant homes and would like to do a presentation to the EA, who do I need to contact? Our Procurement Policy can be found on the GOV.UK website. This includes details of how to find available contracts and the contact details for our Procurement Officers.